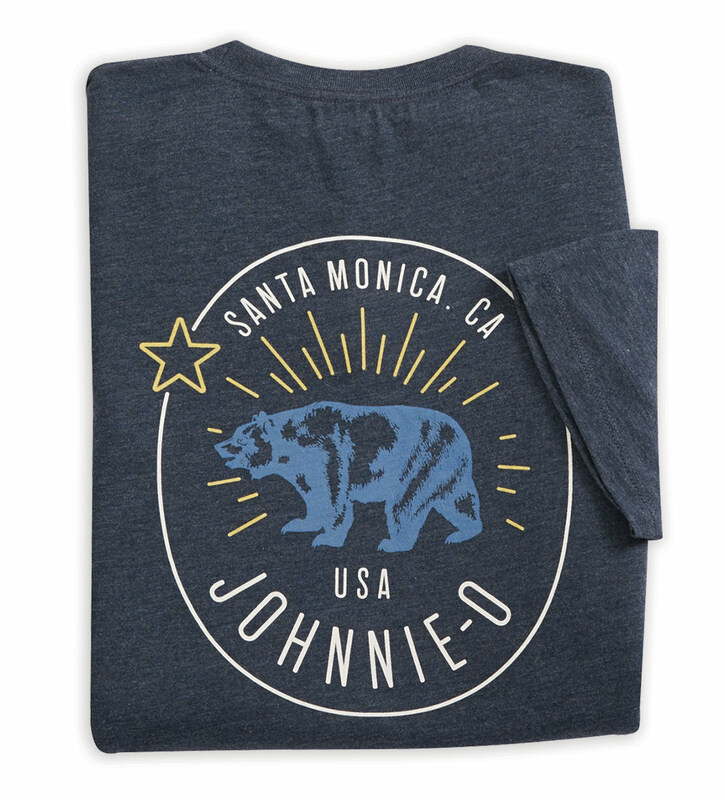 California bear and star graphic on back. Short sleeves, crew neck, straight hem. 50% polyester/25% cotton/25% rayon. Machine wash. Imported.